Ravelry says that 9.7% of my stash is in the red colour family. That’s actually surprising since I thought I have more of it. And that’s just actual red, not red orange or red with colours from other family. 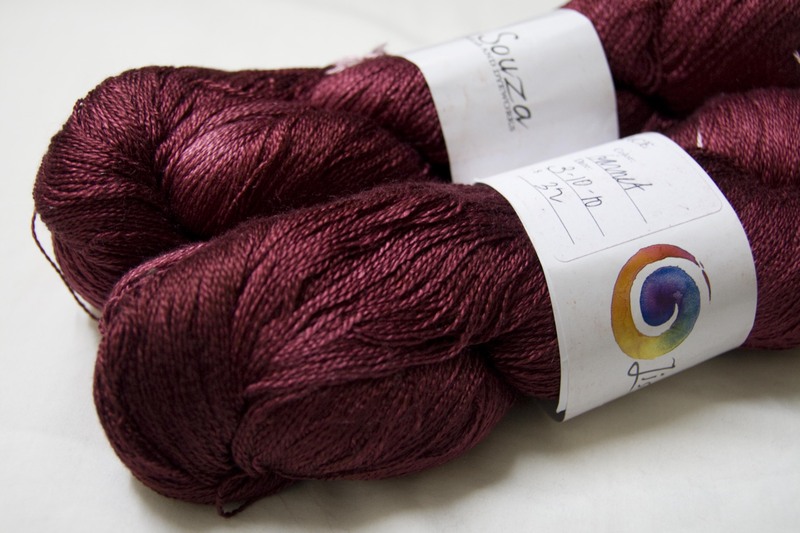 I want to show you some of the most vivid reds in my yarn stash, starting with this gorgeous garnet silk lace from Lisa Souza. It was a destash from Alicia. I loved it on the computer screen but I fell hard for it even more when I saw it in person. It’s a rich deep red and I have decided to knit a Shetland Pi Shawl with it. Wendy Johnson did a KAL on it recently and I missed out since I was doing other projects. But I have more than enough yardage in these 2 skeins to make the full sized shawl. 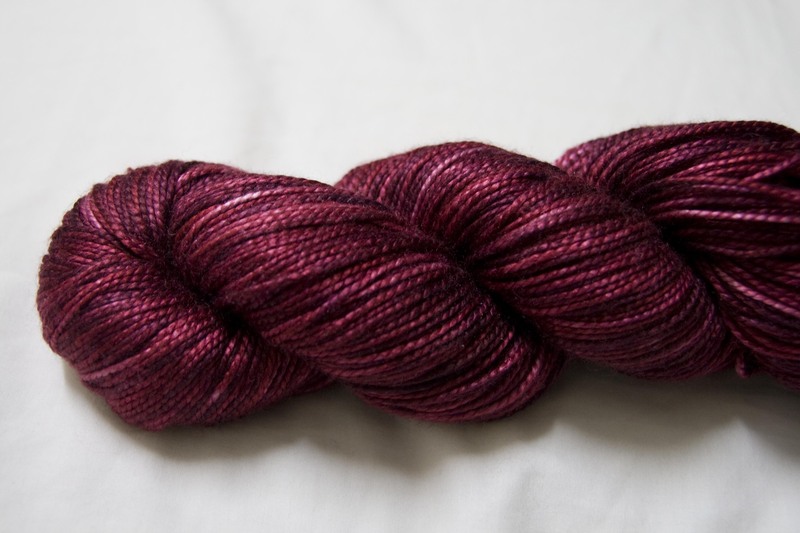 Next up we have one of the most popular colours from Sundara Yarn, Crushed Cherries. I have used up this skein to knit up my Little Shells shawl. Still doesn’t stop me from admiring this beautiful colour. I wish I have more of it in Silk Sport. 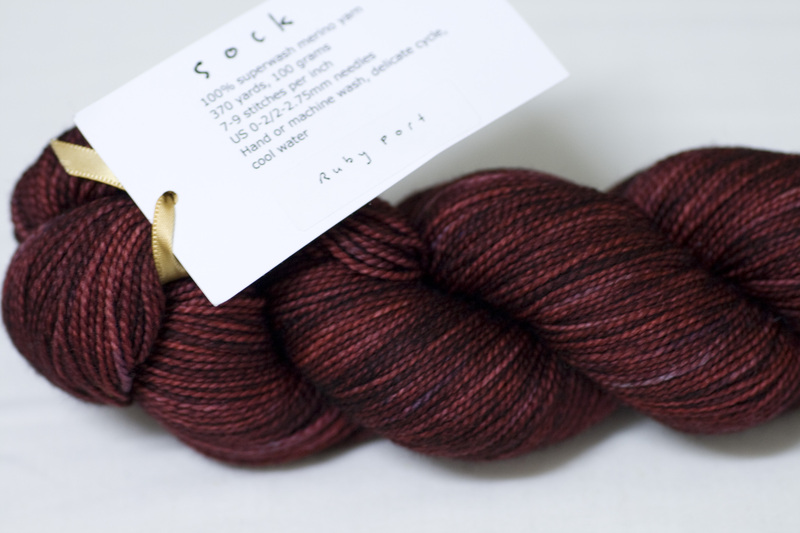 Which then brings us to my current pride and joy, courtesy of Susan from our recent swap: Ruby Port in Sundara Sock. Isn’t she pretty? I haven’t decided what to knit with this yet, I’ll let it marinate in my stash for a while and when I can pluck up enough courage to wind it into a skein and knit, then I’ll start looking at patterns. Although I have a sneaky feeling that whatever I decide this skein will not end up on my feet! I’m having a great time knitting and catching up with all the TV season premiers so excuse the lack of proper blog updates. They’re all in draft and I just need to find the words to replace all the blah-blah placeholders. I think you’ve got me dreaming of reds now. I do love that Lisa Souza lace too. I think the cooler season makes us reach for the reds and other such warm colours. I’m loving that red line up! Can’t wait to see them fashioned into knit beauties! I’m enjoying the fall TV line up too. Some shows are yay and some are meh! But I’m not ready to kick any of them off my list….yet!